Twitter gave its mobile apps a dark/night mode last year, making many a social media ninja’s dream come true. Now is working on the same for the desktop. 9to5Google first reported on the feature, which shows in the menu that pops up when you click your profile photo. 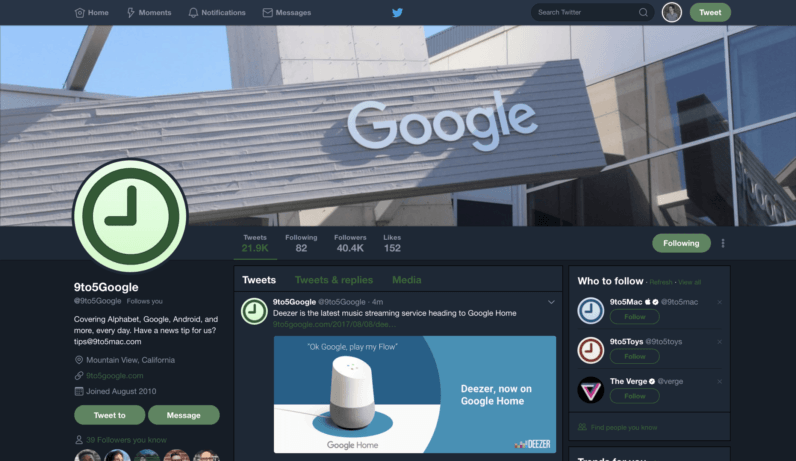 The feature is limited to a small group of test users now, and nobody at TNW is seeing it quite yet, but a Twitter spokesperson has since confirmed to us that the company is experimenting with night mode on the desktop. At this point, it seems a wider rollout isn’t far away. That said, there are various Chrome extensions that basically do the same if you just can’t wait.